Microfiber mask, fresh and silky smooth, with a tonifying fragrance. An oasis of moisture for a beauty pause that recomforts even the driest of skins. Moisturizing your face is as easy as 1, 2, 3… with this microfiber mask specially formulated to treat all skin types. What skin doesn’t need hydration? A true reservoir of moisture, the Wrap Hyal-Aqua offers thirst-quenching virtues to even the thirstiest and tightest of skins. Thanks to its active ingredients, skin is replenished and seems more protected. Use the Wrap Hyal-Aqua once to twice per week. 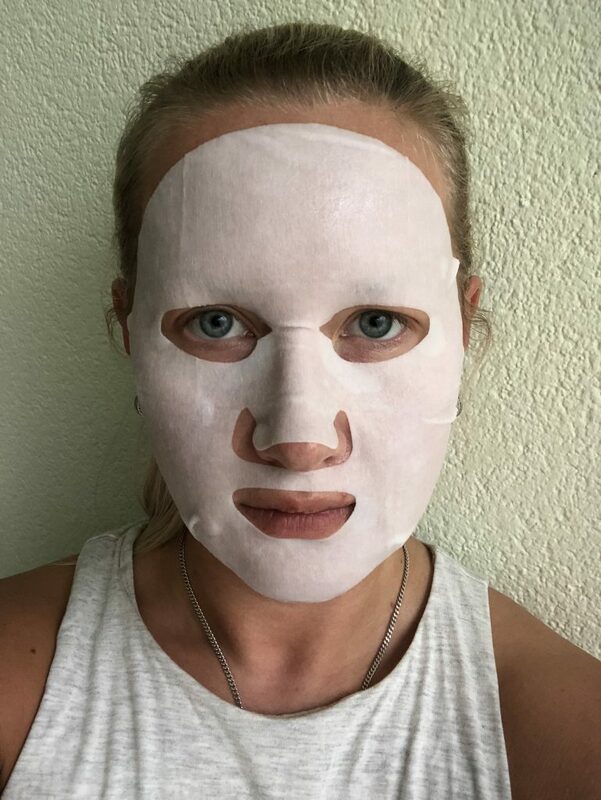 Position the mask on cleansed and dry face and adjust to the eye and mouth openings. Leave on for 10 to 20 minutes. Carefully remove the mask and massage the excess serum into the skin until absorbed. Apply your Qiriness cream on top. 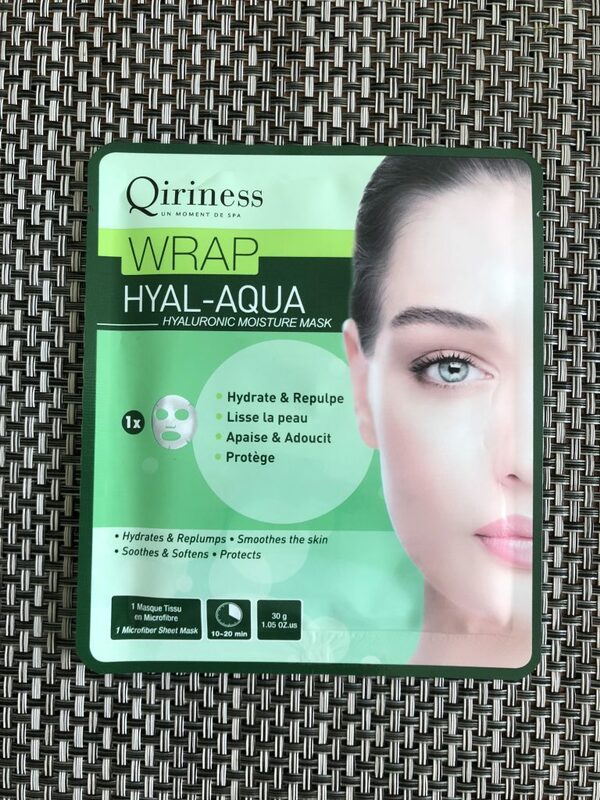 The QIRINESS WRAP HYAL-AQUA Hyaluronic Moisture Mask is an OK product fro the oily skin type yet the performance of it is so mediocre that I. would not advise investing the money in it unless it is on mega-sale. The ingredient list is just not fantastic and the effects on my skin are so regular that makes it not worth the price point. At all. The essence of this mask is very fresh and smells like white tea perfume from Elizabeth Arden. If you are not a fan af fragranced masks, this one is quite potent lingering on your face even after the removal of the mask. Since I love the smell I didn’t mind the strength of it this time. What I do like about the essence is that is has a milky texture. It has a nice slip to it and felt very moisturizing upon touching it. 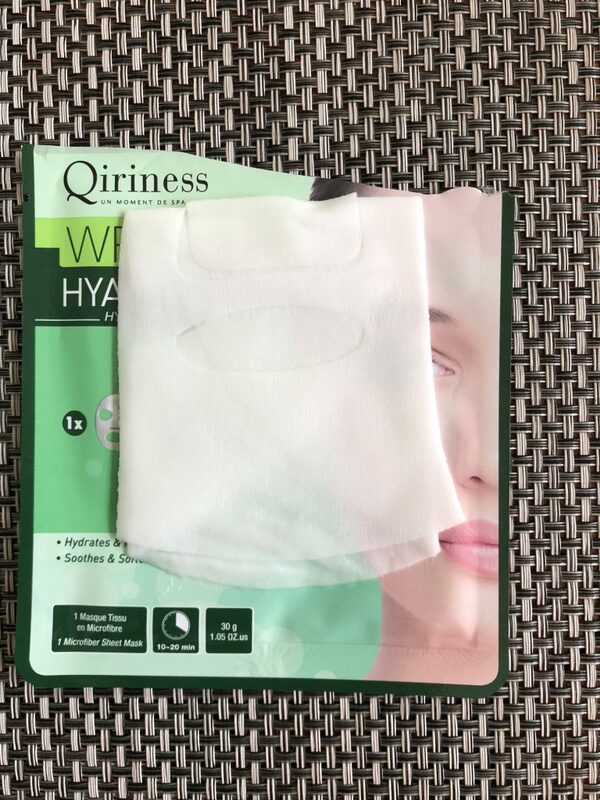 Mask sheet is made of soft almost hybrid fabric. It looks and feels like cotton but is extremely soft like synthetic fabrics can be. Sheet had an above average thickness to it ensuring that a lot of essence got soaked into the mask. Adherence and fit were above average. Sheet remained it’s softness through-ought the entire 30 minute wear. There was a mild tingling stinging sensation present on my skin in first couple of minutes which almost made me remove the mask. I was so afraid that it would cause an allergic reaction from the components that were inside. Luckily it didn’t happen. In terms of results after half an hour of wear I saw that my skin was hydrated. It felt as red and irritated as before the application of this mask making it quite useless for me. I can achieve same hydration results by using one of my many hydrating toners. 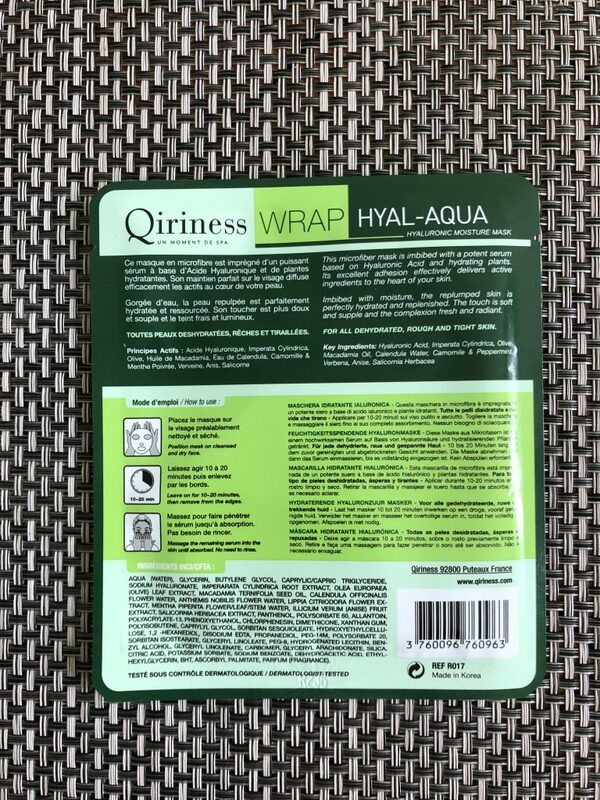 If your skin is dry and you want a nice hydrating mask and nothing else, you can go for this one. If your skin is sensitive, proceed with caution as it does sting the skin. 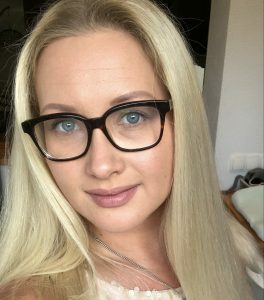 If you expect more effects on the skin from the sheet mask, it is definitely a pass!